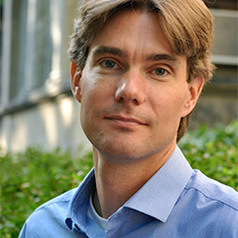 Henrik Selin conducts research and teaches classes on global and regional politics and policy making on environment and sustainable development. His most recent book is European Union and Environmental Governance, by Routledge Press, and is also the author of Global Governance of Hazardous Chemicals: Challenges of Multilevel Management by MIT Press. He is the co-editor of two books, Changing Climates in North American Politics: Institutions, Policy Making and Multilevel Governance (MIT Press) and Transatlantic Environment and Energy Politics: Comparative and International Perspectives (Ashgate). He is also the author and co-author of more than four dozen peer reviewed journal articles and book chapters. Selin is the faculty coordinator for the International Relations & Environmental Policy MA program at Boston University. He is also a Faculty Fellow in the Center for the Study of Europe and a Fellow with the Frederick S. Pardee Center for the Study of the Longer-Range Future, Boston University. Prior to his current faculty position, Selin was a Wallenberg Research Fellow in Environment and Sustainability in the Environmental Policy and Planning Group, Department of Urban Studies and Planning, Massachusetts Institute of Technology (2001-04), an Associate with the Belfer Center for Science and International Affairs, John F. Kennedy School of Government, Harvard University (2001-03), and an Associate with the Center for International Development, John F. Kennedy School of Government, Harvard University (2003-04).